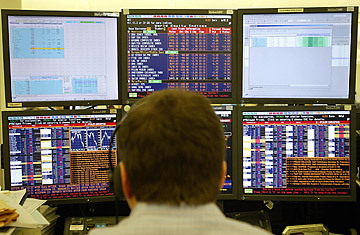 Is Proprietary Trading Too Wild for Wall Street? Back in 2006, Lawrence McDonald, a former Lehman Brothers bond trader, remembers, he asked an intern what he was doing during the winter break at the now bankrupt investment bank. The intern, who was a junior in college, said he was trading derivatives for the firm. Surprised, McDonald asked the intern the size of his pad  Wall Streetspeak for how much of the firm's money he was able to trade  figuring it couldn't be much. The intern's response: $150 million. "It was one of the most amazing things," says McDonald, who has since written a book about his time at Lehman, titled A Colossal Failure of Common Sense. "This kid didn't even have a college degree." The intern, of course, wasn't the only one who was risking the firm's dollars. McDonald, himself a relatively junior trader, had a Lehman-funded trading account of $450 million. In the years leading up to the financial crisis, Lehman Brothers built up huge positions in real estate, derivatives and bonds. That all came crashing down in the fall of 2008, when the tumbling housing market and rising mortgage defaults caused the credit markets to seize up. In all, Lehman lost more than $32 billion from proprietary trading and principal transactions during the year and a half leading up to the financial crisis and since, according to a TIME analysis of Securities Exchange Commission filings and bankruptcy-court documents. That's nearly double the $18 billion in common equity the firm had in late 2006, just before mortgage bonds started going sour in the beginning stages of the financial crisis; it was more than enough to wipe the firm out. And Lehman wasn't alone. Merrill Lynch lost nearly $20 billion on investments in collateralized debt obligations (CDOs). Morgan Stanley had a nearly $4 billion loss in proprietary trading in the fourth quarter of 2007. Goldman Sachs spent $3 billion to bail out one of its hedge funds. And Citigroup has poured more than $3 billion into fixing its problems with structured investment vehicles, investments the bank set up with its own capital. Like Merrill, Citi lost big  as much as $15 billion, on the CDOs it decided to hold rather than sell off. In fact, nearly every large financial firm that stumbled during the financial crisis had billions of dollars in proprietary-trading or hedge-fund losses. "To a certain extent, proprietary trading was the key driving force that was behind the disaster," says Jeremy Berkowitz, a finance professor at the University of Houston. "For whatever the reason, Lehman and other banks decided to take positions in mortgages, and when those positions went south, so did the firms." The role of proprietary trading  when banks buy and sell investments for their own accounts rather than their clients  and other principal investments in the financial crisis is getting new scrutiny. On Thursday, Feb. 4, the Senate Banking Committee held its second hearing in a week on President Obama's proposal to keep banks, which hold federally insured deposits, from engaging in such risky businesses as proprietary trading and hedge-fund and private-equity-fund investing (all three activities contain some element of trading or investing for the firm's own account, possibly employing leverage). Many have dismissed the so-called Volcker rule, which Obama named for former Federal Reserve chairman and current presidential adviser Paul Volcker (who has championed the proposal), as unnecessary. They say proprietary trading played a very limited role in causing the financial crisis, that poor lending and underwriting were more to blame. "The financial crisis was caused by the juxtaposition of regulators who really didn't believe in regulation, and excess leverage," says Jon Corzine, the former governor of New Jersey and a former chief executive of Goldman Sachs. "We need stricter, higher capital rules for the banks. That's a much better solution than trying to limit a type of business that is hard to define." But academics and economists and even some Wall Streeters say proprietary trading and other principal investments played a much larger role in the losses that were at the heart of the financial crisis. What's more, if the firms had been barred from using their own money to buy mortgage bonds, much of the credit-and-housing bubble might not have been able to form. "Proprietary trading played a big role in manufacturing the CDOs and other instruments that were at the heart of the financial crisis," says Michael Madden, a managing director of the investment firm BlackEagle Partners and a former Lehman executive. "If firms weren't able to buy up the parts of these deals that wouldn't sell ... the game would have stopped a lot sooner." Indeed, a number of former and current Wall Streeters have come out in favor of limiting proprietary trading by banks. At the Senate hearing on Thursday, former chairman of Citigroup John Reed said he supported a Volcker-rule-like separation of financial firms. "The industry should be compartmentalized so as to limit the propagation of failures and also to preserve cultural boundaries," Reed told Senators.